Tranquility Natural Health provides a community outreach program provided FREE to your company by our state-of-the-art health and wellness facility. Massage has been used all over the world to remove muscle tension and interference from the body. 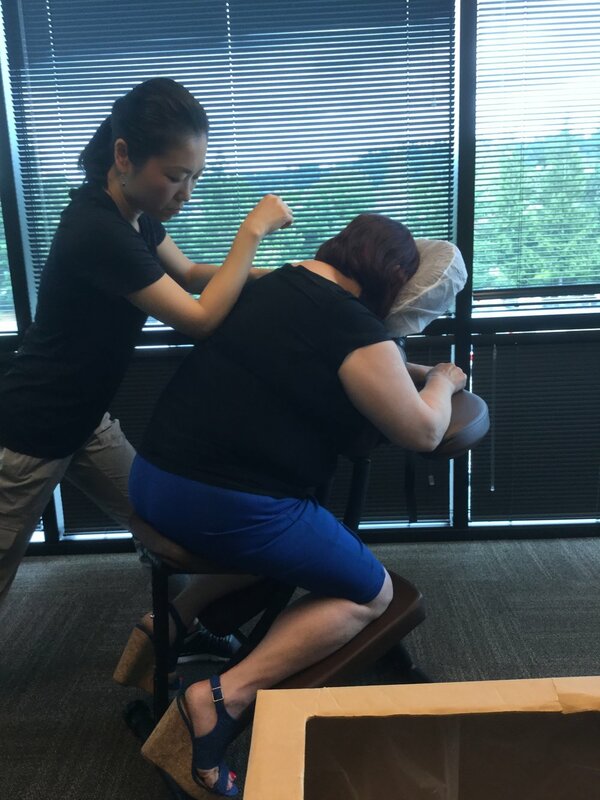 Our outreach program provides soothing massage therapy to your employees with no strings attached and fulfilling our mission to help people in our community live healthier lives. It also allows people to learn about us in case they need our services in the future. We know from experience that companies who use our free massage program enjoy this relaxing break in the work day and experience a more positive work environment. Our massage program is an excellent way to show appreciation for your employees, and it’s FREE to you. We do all the work, and you get all the credit! 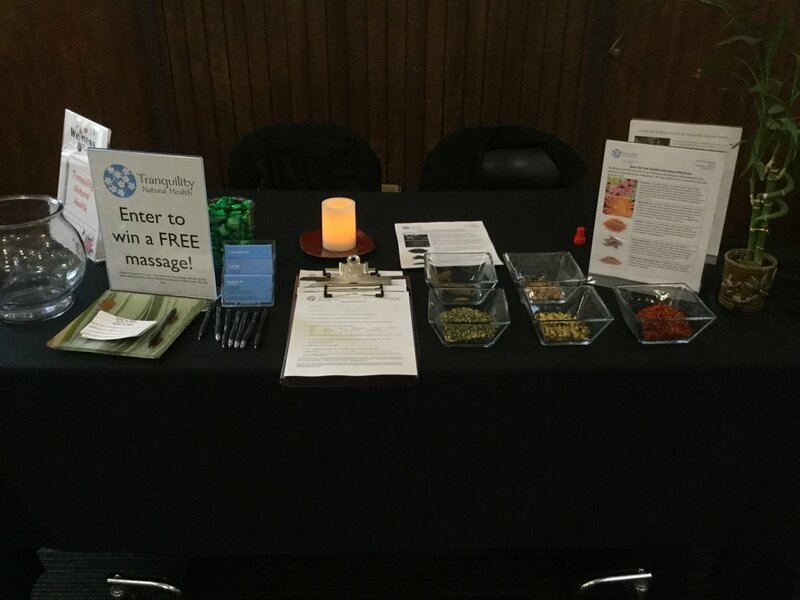 Tranquility Natural Health can bring a full service wellness day to you, complete with chair massage, acupuncture, health screening, and nutritional consultations. Whether you are looking for a half day event to show appreciation for your team, or you are looking for a lunch and learn, we have a full service group of healthcare professionals to address your needs, from ergonomics, staying fit even in a more sedentary job, dealing with stress, avoiding diabetes or heart disease, and more. We can address whatever health concerns your employees may face to make for a healthier, happier and more productive team. We provide everything necessary to make your day a success, including materials announcing the event, sign up sheets, administrative support to manage the event, and a healthy lunch, making it an easy win for your HR or Wellness Coordinator. Please give us a call and let us know how we can best serve your needs with this complimentary offer. Book your next event by contacting the event coordinator.